Originally posted on the St. Joan of Arc website. 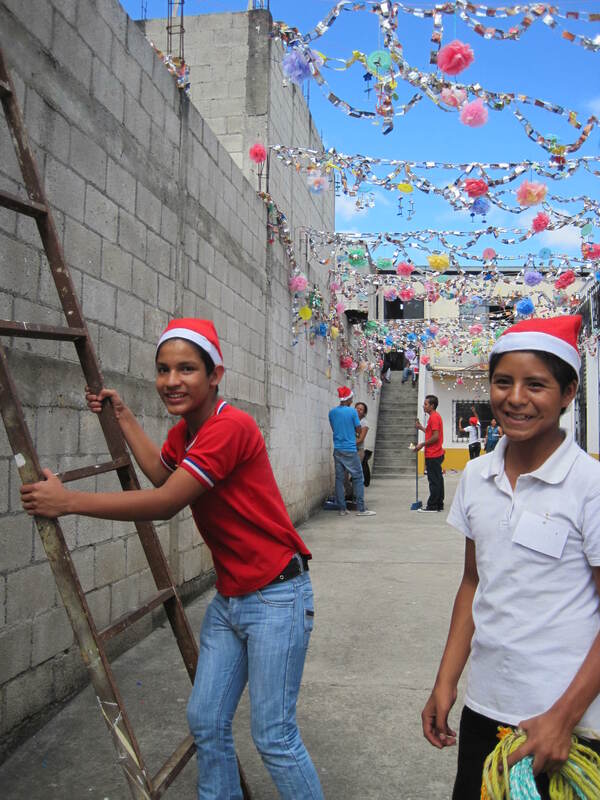 Each year, the youth group at our Sister Parish in Guatemala takes the initiative to plan and conduct a Christmas party for younger children in their community. This year’s theme was, “Take care of your planet: Let us love the world as Christ loves us.” Check out the photos of the Children’s Christmas Party to see all the decorations of recycled material – very impressive! This event involves youth leaders in the development of their community and helps younger children strengthen values and share time together in a healthy way. SJA and our Sister Parish committee provide financial assistance. We give thanks to all those involved for the inspiring work they do to build a more hopeful future. Merry Christmas from our Sister Parish, TNII! For more information about St. Joan’s Sister Parish relationship, check out the Peace and Justice page, or contact Julie Madden. This entry was posted in General, Guatemala and tagged st joan of arc, tierra nueva ii. Bookmark the permalink.